A jpg poster for this year's COSMO can be downloaded, with more (1MB) or less (1KB) resolution. There will be plenary talks in the morning, parallel sessions in the afternoon, and ample time for discussion and interaction. A draft programme can be found here. 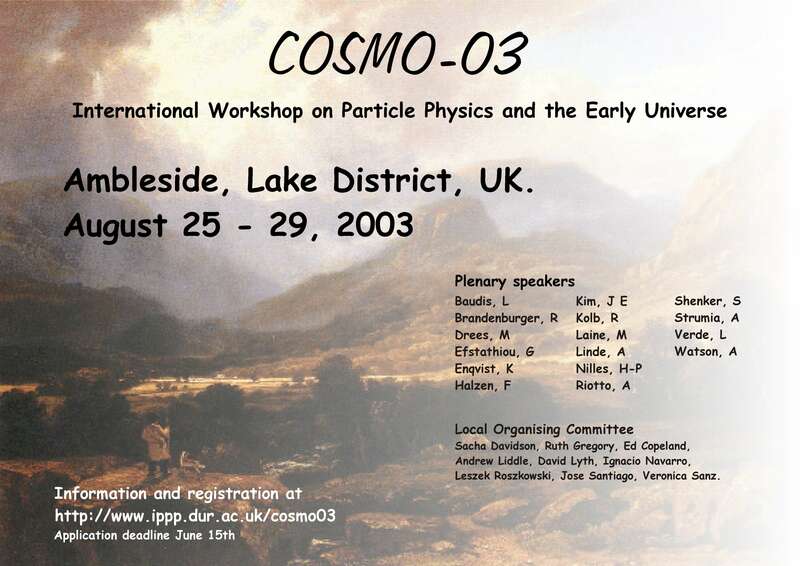 There will be parallel sessions on early universe cosmology , baryogenesis, late universe cosmology, the CMB, cosmic rays, inflation, neutrinos, and dark matter. If you wish to speak, please contact the conveners of the relevant session. Who is the local organising committee?